It's real cold out there. I feel like winter just waltzed in here fashionably late and set up shop when we were doing just fine in our layers and hats. What can you do? I'll tell you what, wrap up. The wrap coat is chic and breezy and you can add you layers underneath, because if you're not sporting some long underwear right now, well, I feel sorry for you. Starting with this beauty. 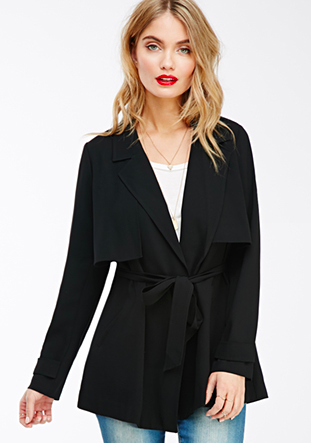 The beautiful cape sleeves, the arched hem, everything about this coat is going to work for you. This coat was originally $400. That's right. Go, buy, now. How about a chic winter white option? I love the pop of the black belt it will your figure great definition. 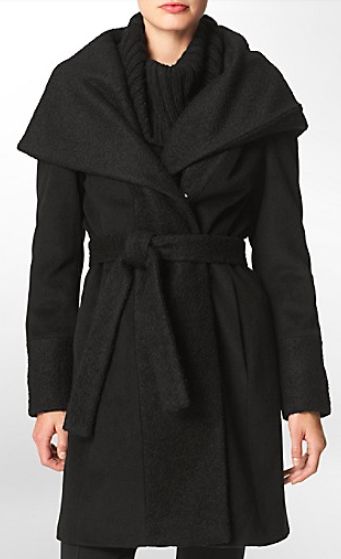 This coat is a lightweight option but great for layering a chunk turtleneck underneath. It also makes for a great spring transition coat. 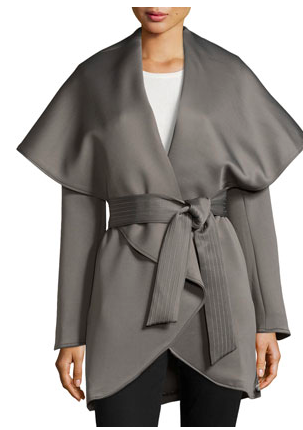 The wrap coat is very casual but effortless in a Olivia Pope sort of way. I love the large cape details or kimono sleeves, it offers some personality to outerwear.